A recent article in the Anchorage Daily News reported on a presentation of hypothetical dam break simulations for a tailings storage facility (TSF) at the proposed Pebble Mine. The presentation was given by Dr. Cameron Wobus, who made a statement that incorrectly ascribes a role to Knight Piésold in the Mount Polley tailings dam breach that occurred in British Columbia in August 2014. When speaking about Mount Polley, Dr. Wobus stated “that dam was designed by Knight Piésold.” His statement is incorrect. Knight Piésold was the engineer of record for the Mount Polley TSF from 1996 through 2010. However, we withdrew from that role nearly four years prior to the dam breach, and responsibility for the subsequent design and operation of the facility was assumed by others. Knight Piésold’s withdrawal at Mount Polley was directly linked to the way the mine operator was operating the tailings storage facility, and was accompanied by several warnings issued by professionals employed by our firm to the mine operator and the Canadian regulator. Following Knight Piésold’s withdrawal and warnings, the subsequent engineer of record at Mount Polley made substantial changes to the tailings facility. This included the incorporation of over-steepened slopes, the elimination of above-water beaches, and a substantial increase in the volume of water stored in the facility. None of these changes were consistent with the Knight Piésold design or recommended operating practices. As such, the statement “that dam was designed by Knight Piésold” is false, as the design of the dam that breached at Mount Polley was a markedly different design from that prepared by Knight Piésold. During Knight Piésold’s tenure, the design of the Mount Polley tailings facility was robust and it was stable and safe. The August 4, 2014 dam breach would not have occurred if the facility had continued to be constructed and operated in accordance with Knight Piésold’s staged design concept and advice, and this fact is supported by the conclusions of a number of public investigations that have shed light on the roles of the engineer, the operator, and the regulator. Unfortunately, Dr. Wobus is not the only paid critic of Alaska’s Pebble Project to incorrectly cite Knight Piésold as the designer of the tailings facility that failed at Mount Polley. Dr. David Chambers of The Center for Science in Public Participation has also made this claim, most recently at an anti-Pebble public event in Naknek on March 7. The August 4, 2014 breach of the dam at Mount Polley was an extremely unfortunate incident, and Knight Piésold is deeply concerned about its effects on local communities and the environment. Knight Piésold is not, however, responsible in any way for the Mount Polley dam failure. Nor is it fair or accurate for critics of the Pebble Project to suggest that Knight Piésold’s involvement as expert consultants in tailings and water management issues reflects a lack of due care or quality in Pebble’s approach to these critically important matters. 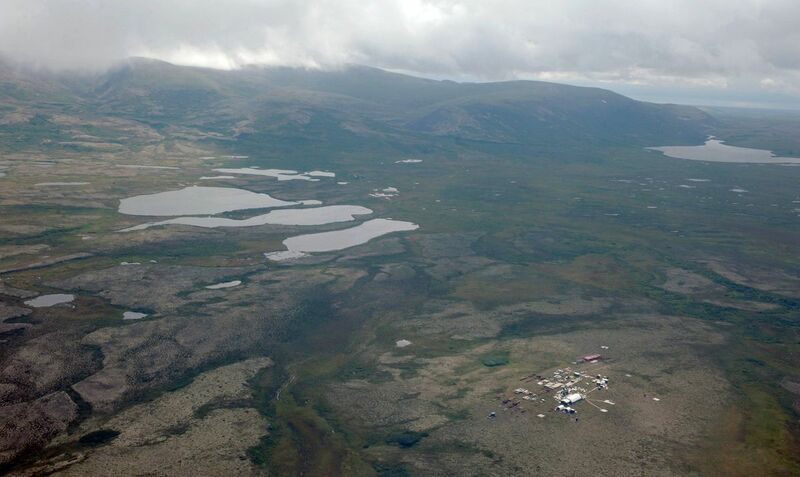 It is worth noting that before tailings facility construction can commence at Pebble, all the design work will be subjected to extensive peer review by independent specialists, and it will be further scrutinized, reviewed and approved by the Alaska Dam Safety Program at the Department of Natural Resources. This process will not be rushed. The detailed design work for the TSF at Pebble will be the most closely examined in the history of the program, and among the most scrutinized in the world. Knight Piésold is one of the world’s leading designers of tailings storage facilities and has been involved in the design and operation of over 400 successful tailings storage facilities worldwide. Our commitment to use the highest technical standards to design safe dams is unwavering, and we will apply these standards to all dams that we design for the Pebble Project. Ken Embree is president of Knight Piésold, a Vancouver, Canada-based global consulting firm that provides specialized services to the mining, power, water resources, infrastructure, and oil and gas industries.